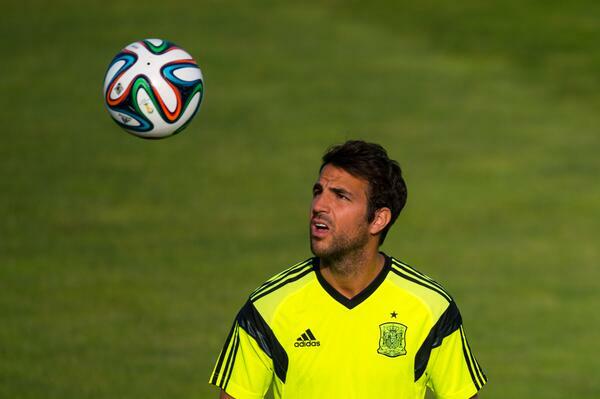 The rumours surrounding the future of Cesc Fabregas have come thick and fast today. It would appear that Fabregas has been told by Barcelona he can leave, and his agent Darren Dein has been in touch with Sky Sports and the BBC. Cesc Fabregas set to leave Barcelona this summer and return to the Premier League [Sky Sports]. The Tweets above and below are about the most firm you will ever see the BBC get involved in transfer gossip. In particular, David Ornstein is known as one of the most reliable journalists around and he often appears with big, breaking Arsenal news as well. A fee of 30 million pounds seems reasonable for a player of Cesc Fabregas’ talent and it does seem likely that his ability is better suited to the Premier League. So, it has to be a straight fight between Manchester United and Arsenal for Fabregas, depending on the will of Louis van Gaal and Arsene Wenger. Or, will they leave the path open for Manchester City or even Chelsea? Or, perhaps all this gesturing from the media shows that actually, no one wants Fabregas.